Although tryouts have concluded, we are still holding individual tryouts per request. Please contact Coach Gadson to schedule workout. 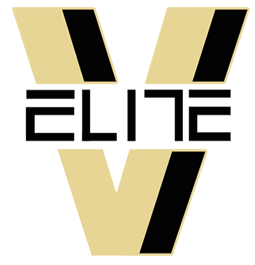 The Elementary Elite team’s philosophy is the same as the Junior elite division. We provide instructions and targeted development to complete. We strategically fuse basketball training with integrated programs aimed to increase the ability of all players. ** Only attend tryout if yous child is ready NOW to join the program if selected. 1. It is a requirement for EVERY Player to register to participate in workouts and tryouts. 2. We will hold open workouts for players that want to be considered for team selection. The workouts do not guarantee a roster spot but provides the coaching staff to get a early evaluation of a players talent. ** Coaches may concluded during the workout that a player can be a candidate for team selection. 3. Weekly tryouts are held for players that desire an opportunity to be considered for team selection. The tryout process is to select players to fill rosters based on playing ability and the ability to be coached. ** Coaches will select players during the tryout period to be on the team roster. Each tryout session will be 2 hours in duration and it is REQUIRED to attend each session. This is a very serious process.